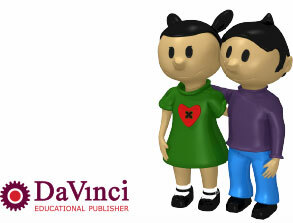 The Curriculum DaVinci is the most recent curriculum for Science and History for children ages 4 to 12 years. This curriculum works thematically with full coverage of the core goals “Self and World Orientation” in an integrated framework, as well as, global citizenship and civic education. Teachers do not teach separate subjects such as Geography, History, Biology, and so on. All subjects are integrated in one lesson a week. All themes are viewed from different perspectives that allow children to work using their interests, talents, and learning ability, either individually or in a group. This approach involves all children and results in connectedness within the classroom. Children will notice minor and major connections within and between the themes while working with realistic materials. 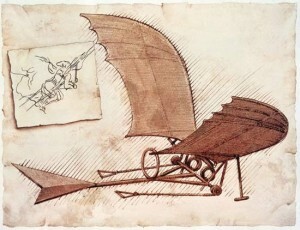 The Curriculum DaVinci is characterised by this unique vision. We are committed to helping the teacher. The teacher is the driving force in the classroom. The Curriculum DaVinci makes it as easy as possible for teachers to start to begin. Besides the books, DaVinci also supplies materials necessary such as wool, stones, PowerPoint presentations, and all the documents for the digital board. The materials are complete and can be adapted to the teacher’s own vision. This saves time that can be invested in the children instead of preparation time. The children are prepared for a modern society with easily accessible knowledge on the internet. It is essential that children develop meta-cognitive abilities to monitor their learning process. We teach children to gain and keep insight of their learning process by filling in a “helicopter model” for each theme. In this innovative helicopter model, children fly like a helicopter over the current theme and get an overview of the things they can learn and what they already possess. Children learn to check their work as well as structuring it and taking care of their own working process. They also judge and evaluate their work to come up with advice for future work. The helicopter model comes with a mind map, which is called a “thinking window”, to structure the gained information. This suits the new way of learning where knowledge is easily accessible on the Internet and where meta-cognitive abilities play an essential role in dealing with that knowledge. DaVinci Education provides support in implementing the Curriculum DaVinci in your school and in your classrooms. Together we will look how the method fits in your vision of education and learning. We have expertise in training and seminars. Children have been exploring the world on their own since birth. Interactions with other people and the world shape their identity. By guiding children in their exploration of the world, we emphasise authenticity and the message to stay true to themselves with an open, curious mind. By helping them organise seemingly incoherent impressions from the world, we show that no event in the world is isolated. We provide guidance in dealing with the world that will be useful when growing up. A child will experience the connections between everything and what his or her place is in that world. By learning to take responsibility, Science and History contribute to the upbringing of children for a peaceful, global society. We are living in a fast moving world through the internet and by different means of transport. The child is seen as a world citizen and, therefore, it is essential that they are exposed to different cultural perspectives. They learn how to work together in different ways, to make decisions together, to be a world citizen, and to develop attitudes and abilities as a preparation to participate in the fast moving world. The Science and History curriculum contributes to understanding the world. Children are stimulated to be authentic, responsible citizens by stimulating their interests and talents.